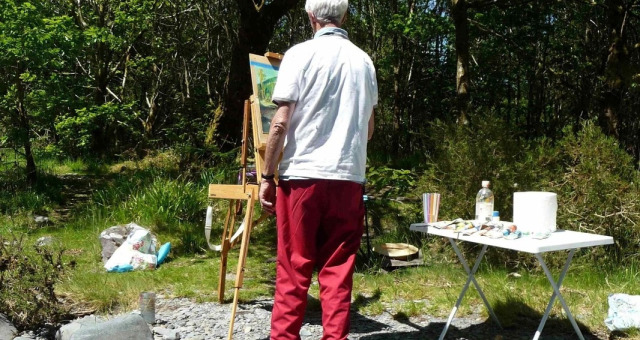 Art Holidays at Pengwernydd ExperienceEnjoy an art workshop or painting holiday with me, Anita Woods, during a self catering holiday or short break. 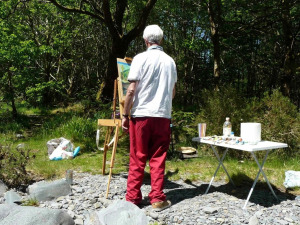 Pengwernydd Cottages are set in the tranquil and inspiring landscape of the Cambrian Mountains. Lots for non painting partners to do in the area. Cost £45 per person per day, £50 with lunch, and can be combined with a stay at Pengwernydd Cottages. The sessions commence with a discussion over coffee about the media we will be using and finish with a discussion about the day’s work over a cup of tea and lovely home made cakes.